Cover existing graffiti and create beautiful anti-graffiti walls with our Coloured Graffiti Resistant Paint range. Available in a wide palette of colours, Coloured Anti-graffiti Paint imparts total graffiti resistance when applied to any external surface. Concrete, brick, masonry and wood all become graffiti resistant once this permanent, 10-year life expectancy, anti-graffiti coloured paint is applied. Subsequent graffiti removal could not be easier as Coloured Graffiti Resistant Paint is completely water washable and can even withstand high-pressure graffiti removal methods. Colour matched surfaces can be covered and protected with a single coat or to cover dark surfaces with a lighter paint or obliterate existing graffiti two coats may be required. Where existing graffiti vandalism exists Coloured Graffiti Resistant Paint makes the ideal graffiti cover-up/graffiti obliteration solution. Usually, in just two coats even the darkest of colours are easily covered up and walls, doors, subways and bridges are returned to a uniform colour with the extra added benefit of now being graffiti resistant for the future. 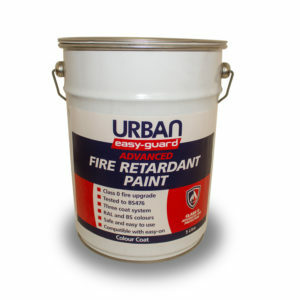 Coloured Graffiti Resistant Paint saves time and money as graffiti removal prior to its application simply is not required.